The Energy Sparks team have been busy since February developing a bid for further funding to extend the functionality, scope and geographical spread of Energy Sparks, and to ensure its long term viability. We are please to let you know that our bid was successful. Although we can’t let you know further details until our press embargo has been lifted, we can confirm that Energy Sparks will be continuing into the 2018/2019 school year with new features to hopefully help your school to save energy more easily. Congratulations to Freshford and Pensford Primary School who have each won prizes of £200 towards energy saving measures as the Spring Term’s top energy savers. The prizes provided by the Bath & West Low Carbon Community Fund can be used to reduce energy consumption at the winning schools and could include switching some of their lights to LEDs, upgrading hot water immersion heater controllers to reduce out of hours use, installing plug-in 7 day timers for shared use equipment such as photocopiers and printers, or using the award to contribute to an energy-saving equipment upgrade, such as a new IT server, or school kitchen appliance. We will be awarding more prizes at the end of the Summer Term to other schools taking part in the programme. So please challenge yourselves to add as many completed activities as you can to the Energy Sparks’s website, to increase your chances of getting funding for further energy saving measures at your school. Freshford pupils have printed off some light covers saying ‘sun’s out, lights out’ and ‘power down when you’re not around’ from https://climatekids.nasa.gov/. They think this is a brilliant website with lots of games to help you understand energy usage and the weather. At Energy Sparks we particularly like the NASA Climate Time Machine – https://climate.nasa.gov/interactives/climate-time-machine which allows you to see how much polar sea ice has decreased since 1979 and how much land could be flooded with sea level rise. Electricity use data for Freshford School showed that their hot water immersion heaters were running every day of the year. The School has now replaced a 24 hour immersion heater timer with a 7 day timer, and adjusted the timings on another controller which means they no longer waste energy by heating water at the weekend. The School is also implementing a policy to turn off hot water heating during the school holidays. These simple measures will save the school about £90 a year for the two immersion heaters. 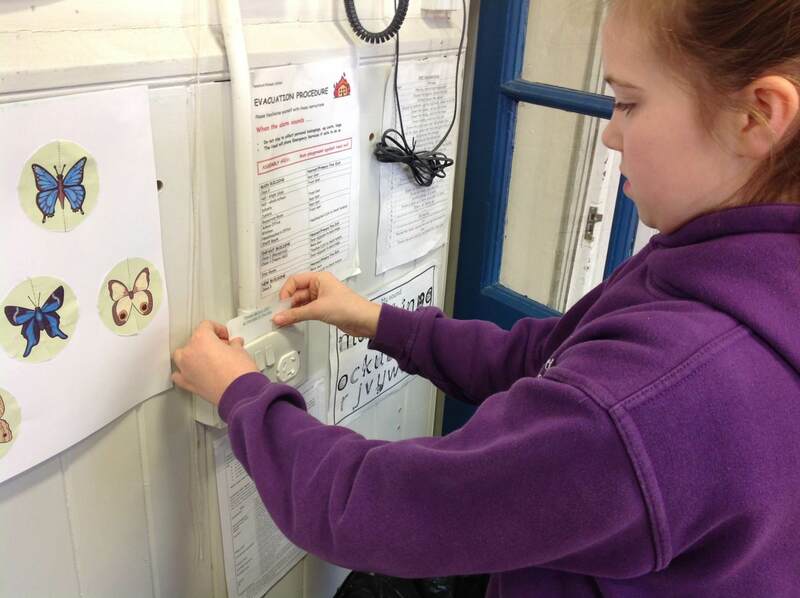 Following pupil-led classroom temperature monitoring at Roundhill Primary School, the school identified that classroom temperatures were much higher than the thermostat temperatures for their heating control system. This discrepancy may suggest that their thermostats/temperature sensors for the heating system are in a particularly hard to heat part of the school. In order to reduce classroom temperatures, improve comfort levels, reduce the opening of windows when the heating is on, and save energy, the heating set temperature was reduced by 1°C. Pupils reported that classrooms were more comfortable, and they were able to see a significant reduction in gas use on the Energy Sparks charts. On average a 1°C reduction in room temperatures will save about 10% of a school’s annual heating bill, so this change could save Roundhill as much as £1000 – enough to buy 200 new books for the school library per year! The Energy Sparks team also visited Roundhill School with the Transition Bath thermal imaging camera to carry out some simple experiments with the children investigating the effect of insulation on retaining heat. We looked at different ty pes of cups containing hot water and looked at how different types of insulation affected the amount of heat lost. We also compared children wearing different types of clothes to see how if we put on a warm jumper or coat we can reduce the amount of heat our bodies lose. Finally we looked at some parts of the school buildings to see which were the coldest, poorest insulated areas of the school. If you would like us to visit your school with our thermal imaging camera let us know.